It isn't just snow turning fields and reservoirs white in southeast Colorado. 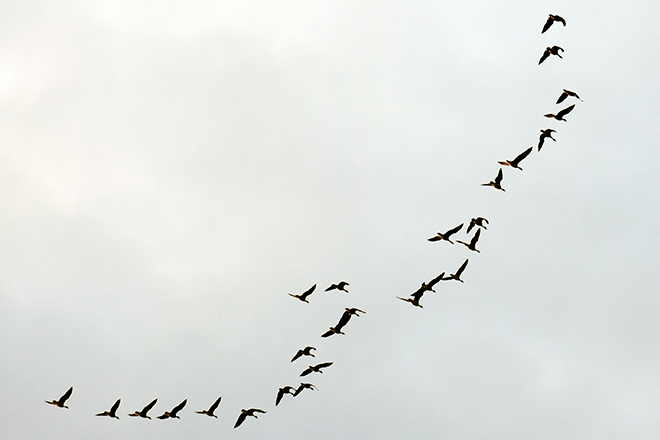 Once again, large, white geese are arriving by the thousands during their traditional migration to their winter roosts. 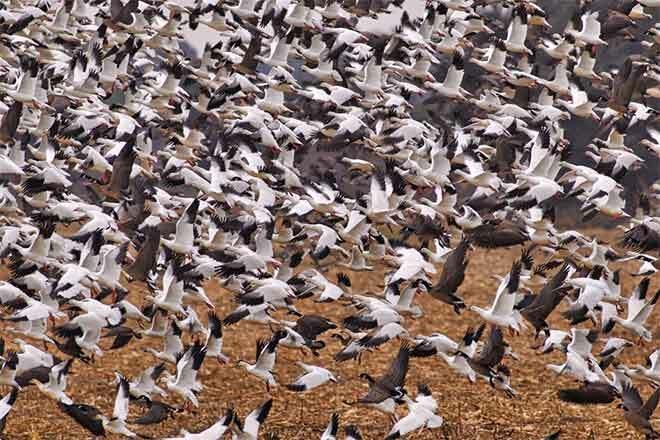 And that means it's time for the annual celebration known as the High Plains Snow Goose Festival, this year scheduled February 7-10. In its 17th year, the festival attracts families, bird watchers and a variety of outdoor enthusiasts to see the arctic waterfowl as they arrive via the Western Central Flyway that includes Colorado, New Mexico and the Texas panhandle. Not only are the geese something to see, the sound is impressive when tens of thousands of large white geese start flapping their wings and rise from John Martin Reservoir State Park and other regional lakes to fly to feeding grounds and back again to the water. The festival offers a variety of programs, field trips and seminars that celebrate birding, watchable wildlife and the heritage in southeast Colorado. Tours take guests to Two Buttes Reservoir, John Martin Reservoir as well as Picture and Carrizo Canyons, south of Lamar. Highlights of the 2019 festival include workshops and speeches. Colorado Parks and Wildlife's Travis Black, wildlife manager for the Lamar area, and Dan Kirmer, John Martin park manager, will lead a Saturday discussion about State Parks and Wildlife Areas. They'll explain why certain areas are closed in certain seasons, what drives the management decisions on specific properties and who to ask for more information. Author Ted Floyd will be the keynote speaker at the Saturday night banquet. Floyd is the editor of Birding, the American Birding Association's flagship publication, and an instructor with the ABA's Institute for Field Ornithology program. He has published widely on birds and his credits include the ABA Field Guide to Birds of Colorado.